SWITCH OPENS from Stockholm, Sweden started out in 2000 as Fingerspitzengefühl. They made two albums for Kooljunk Communications, "Fingerspitzengefühl" in 2004 and "Happy Doomsday" in 2006, and decided to continue as SWITCH OPENS in 2008. The three albums have all been highly acclaimed in Swedish and European rock press, such as Close-Up Magazine, Sweden Rock Magazine, Metal Hammer, Rock Hard and numerous webzines. "Happy Doomsday" was nominated as best metal/punk in the Swedish independent music awards (Manifest) in 2006. The band has done extensive gigging on their own, but also supported bands such as NEUROSIS, SCARS ON BROADWAY and ENTOMBED. The band has earned a reputation as an adrenalized live act, crushing everything in their way. Switch Opens signed to GMR Music Group in October 2008 and the self-titled record was released in Scandinavia in September 2009 and in the rest of Europe in the end of October. In January 2010, the album won P3 Guld, the Swedish national radio music awards, in the Rock/Metal category. 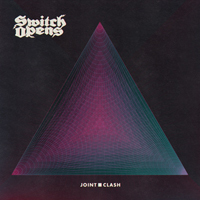 In May 2011, the band changed label once again and as result, "Joint Clash" will be released by Transubstans Records in February!